Learn how to connect single and multiple email accounts to Reply in correspondence with your email service provider and additional data. When you log into your Reply account for the first time, you must connect your email account to send and receive messages. Click Gmail in the Set up email account for sending pop-up window. Select an account you want to connect (in case of multiple Gmail accounts). You have to be logged in to the email account that you are trying to add in your browser. If you want to connect an alias Gmail account, see the following article. Сheck if you have enabled IMAP and Less Secure Apps access to assure stable connection. In your Gmail account, click Settings. Check the Enable IMAP check box (if disabled). To check if access to less secure apps is turned on see the following link. Please, note: if you are connecting free gmail account ([email protected]), you may face issues with blocking your account by Gmail, as free accounts don’t imply mass mailing. Reply uses the preset settings for Outlook. 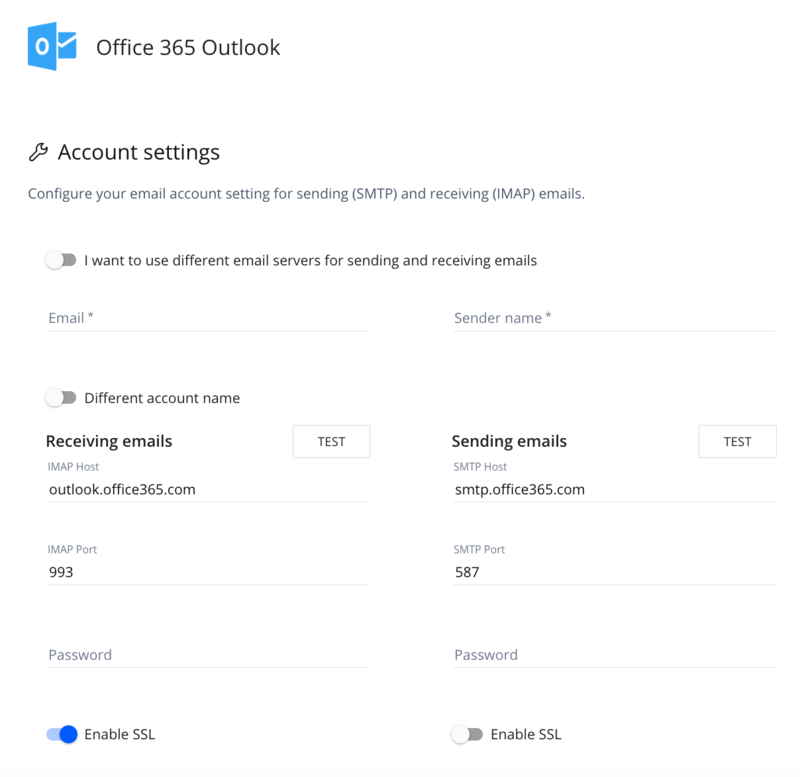 To connect Outlook, enter your email account password into the IMAP and SMTP password fields. Specify IMAP and SMTP Hosts (server name). 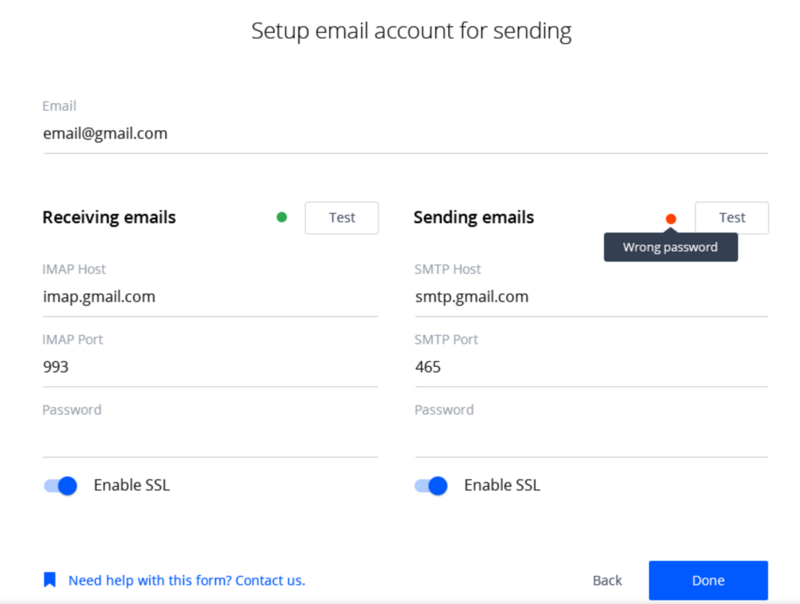 Enter your email account password into the IMAP and SMTP password fields. 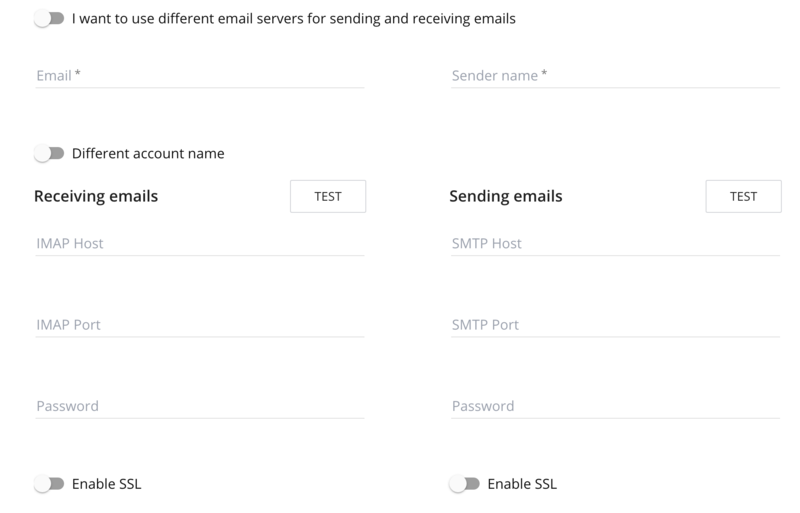 Test connection and it should be all green for both IMAP and SMTP settings if Reply successfully connected to your email account. If something is wrong and you see a red sign, point the cursor to the red icon and read the message, which can help you to troubleshoot the connection from your side. 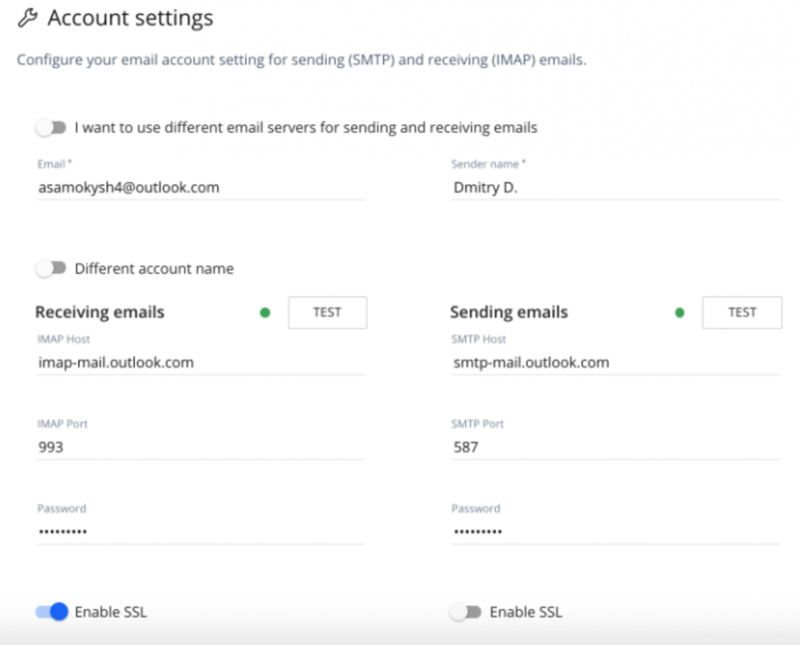 If you want to connect an email account from a different email provider, make sure it supports the IMAP and SMTP protocols. You can find Host Names and Port Numbers in the documentation of your email provider. 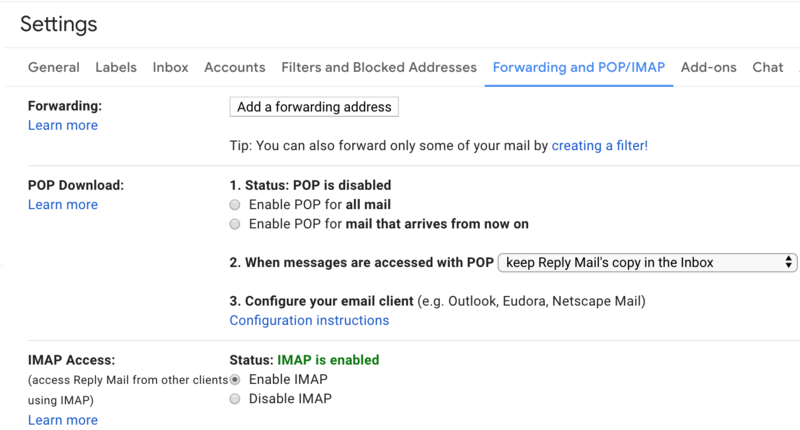 IMAP must be enabled in your email account and it must support third party apps connection. If you still experience problems, please contact our support to help you resolve the issue.